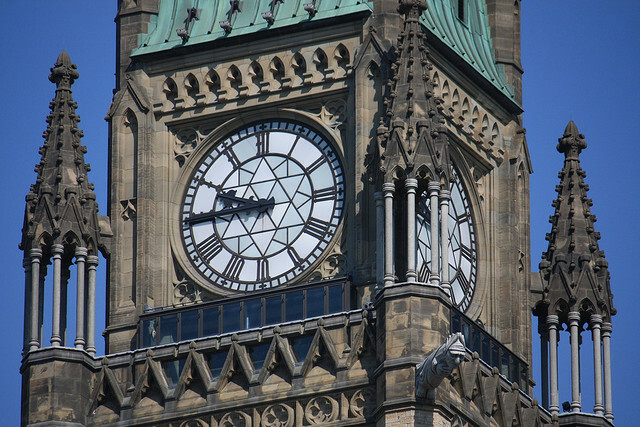 Trudeau Pledges to Update Peace Tower Clock to Digital | Ottawhat? “Because it’s 2015.” Prime Minister Trudeau’s response to a question about why he had so many female cabinet ministers resonated with Canadians. These three words encapsulate the tone that the Liberal Government is working hard to set, one of “real change”. Among these changes are aggressively progressive promises such as electoral reform and legalizing marijuana, and this morning Mr. Trudeau added another to his list. While public opinion about the announcement was positive, experts have questions about how the plan will be implemented. The Liberals have not released details on the renovations, but have stated that they will involve hard work, dozens of new jobs, and a “significant amount of horse urine”.